Prince George’s County, Maryland, firefighters were honored Friday by the Daughters of the American Revolution for their work to help preserve one of D.C.’s Boundary Stones — the first federal monuments. The Daughters of the American Revolution were so impressed by the firefighters’ efforts that Fire Capt. 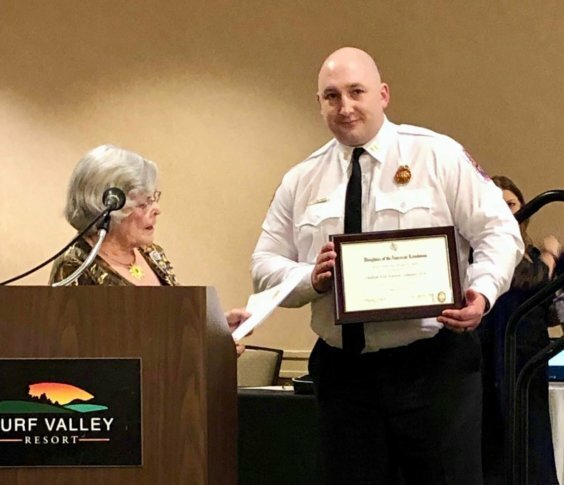 Danon Ushinski and his crew from D Shift were awarded the DAR’s Historic Preservation Award and a Certificate of Appreciation at an Ellicott City banquet. Coincidentally, the surveyor who calculated where the stones needed to be placed was Andrew Ellicott — whose father, Joseph Ellicott, founded Ellicott City. The crew was nominated by Maureen Tipton, state regent; Barbara May, Historic Preservation Awards chairman; Pat Arata, DAR; and Finkle Sourlis, DAR. Known as NE3, the stone the firefighters cleaned sat amid broken beer bottles and other trash on the Maryland side of Eastern Avenue. “You have a worn-out path. There are tree roots. There was a couple smaller trees and weeds that were growing next to the stone,” Ushinski said at the time. The crew then enlisted the Hyattsville Home Depot, which donated soil and mulch for the spot. 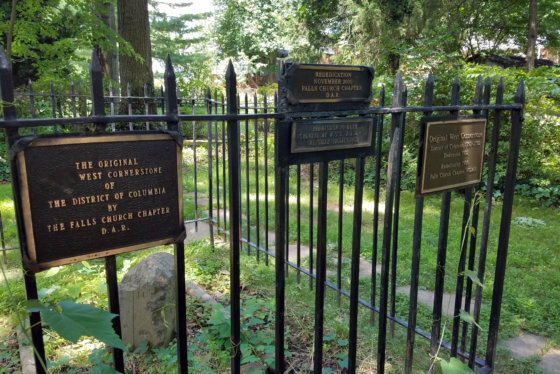 D.C.’s 40 Boundary Stones were set in place at the behest of President George Washington in 1791 to designate the border of the nation’s capital.